When Halo first hit the scene, Spartans all started out on equal ground, with the same weapons and abilities, and had to scrounge the map to obtain the upper hand. Following are three abilities found in multiplayer, to make Spartans better super-soldiers and aid them in strategies to win the game. In CE like other Halo’s, Spartans have the ability to regenerate shields, but they cannot regenerate health and can only restore health by picking up a health-pack. 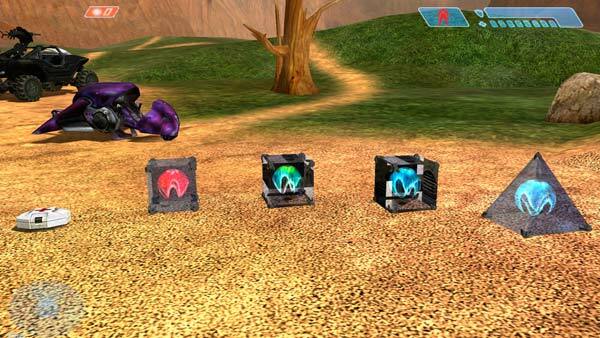 Med-packs, which also quickly regenerate shields, can be found in various positions across Halo:CE multiplayer maps, and are part of any map and team strategy in Halo:CE. Listen for the tell-tale heartbeat that alerts you to the need for a Health Kit. The Halo:CE Overshield offers two layers of shielding over your already existing shield system, rendering you damn near invincible. This means that your default shield does not take any damage until the top two shields are worn down first. However, in CE multiplayer the Overshield does wear off over time, and a fully charged plasma pistol can not only finish it off, it can take your default shield off with it. When Overshield is first picked up, the only way to be killed is by assassination. Picking up a second overshield does not start the process over, as you have to exhaust the one you’re using before the next one will work. This ability can be found on various maps, and looks like an energy ball in a transparent pyramid. In Halo:CE, you’re quite invisible when using active camouflage, unless you’re holding an energy sword, which is an intimidating thing to see. The effect only lasts for about 10 seconds, during which you can become more visible while firing or being hit by weapons fire. Besides the in-game ability to dual wield, Halo 2 has some other tricks up it’s sleeves to increase the lethality of it’s super soldiers. For starters, in Halo 2 Spartans recieve an upgrade and no longer have to pick up health kits to regenerate health. Instead, lore dictates that an integrated system in the mjolnir provides this recharge in health. Like it’s previous installment, the Halo 2 cloak looks like an energy ball in a transparent pyramid, and does not cloak the energy sword if you are wielding it while “invisible”. Similar to Halo:CE’s overshield, this Halo 2 Ability has two layers of shielding on top of the Spartan’s existing shield, protects the default one from damage until they’ve been worn down, and depletes over time. 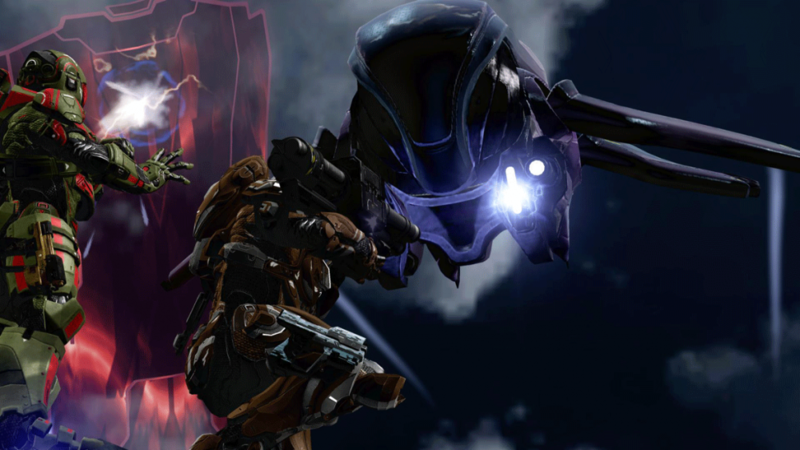 One difference is in Halo 2 when the Overshield Ability is picked up, the user is invulnerable for one or two seconds. Another is the ability gives the user a lighted effect, which shows even when the user is cloaked with Active Camouflage. In Halo 3, the Active Camouflage pickup looks like a large, blue energy ball floating a couple feet off the ground. One of the telltale signs that was added to the game, signaling an invisible enemy in your area, is the footprints left in the snow on maps like Snowbound and Avalanche. In Halo 3, your energy sword is cloaked to the same transparency as your Spartan. A difference in the Halo 3 Overshield to previous installments is it only provides a single layer of protection, as opposed to the two additional layers seen in Halo’s 2 and CE. 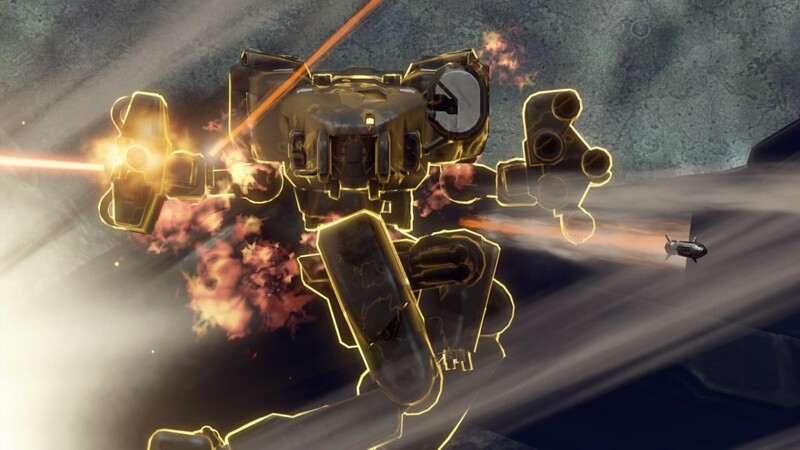 As in Halo 2, the Spartan is invincible as the Overshield charges up and it depletes over time. In Halo 3 gamers were given a whole new line of Equipment options. If you are not carrying any Equipment, it is picked up as you walk over it, and deployed by default using the X button. If you are carrying a piece of equipment you can swap it out for another piece by walking up to it and pressing right bumper (default). You will get an onscreen prompt to do this. Introduced in Halo 3 the Bubble Shield protects all within it from all weapons fire for approximately 20 seconds, but enemies and vehicles can pass through the shield freely. A disadvantage is you cannot shoot through it from inside, either. If the deployment mechanism is damaged in the center of the shield, the bubble will collapse prematurely. Other pieces of Equipment effect the Bubble Shield. You can throw a Bubble Shield over an Energy Drain to protect your teammates from it’s effects. You can also deploy a Power Drain or Radar Jammer just outside a Bubble Shield and it will force-push the Bubble Shield over, potentially exposing those hiding within. Likewise, a Grav Lift will cause this shield to fly into the air. Rarely seen in multiplayer, this shield blocks but can be worn down by all weapons fire except the Spartan Laser, which goes right through it. It changes color as it becomes damaged, turning redder as it gets closer to being destroyed, and like all Equipment self-destructs after a time in multiplayer (approximately 30 seconds). Unlike the Bubble Shield, Deployable Cover is solid and cannot be walked through. Because of this it can be used to jump off of, and can be used to block doorways. Removed from multiplayer in Halo 3, the Flare may only be seen in custom games in Halo: The Master Chief Collection. This Equipment causes anyone in it’s range to see so much light that they are blinded, making them extremely vulnerable to attack. This mini-man cannon is strong enough to lift vehicles, and can be used both to propel it’s user up to levels unreachable by the default jump height, and to throw off persuing enemies by sucking them into it’s force. As previously mentioned it can be used to lift Bubble Shields off of enemies, and it can also be used to block doorways. 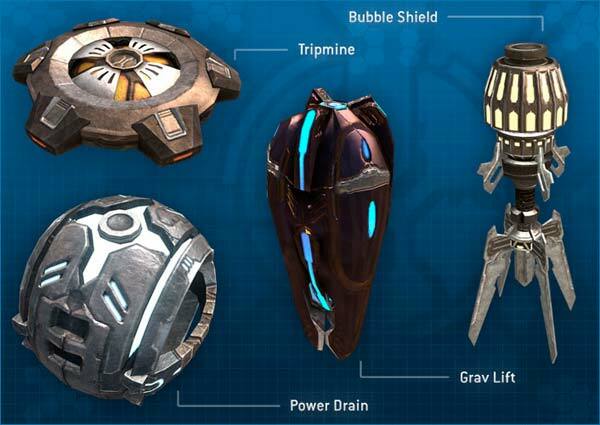 This Equipment drops Spartan’s shields with an EMP blast, and stops vehicles dead for just over six seconds, although their weapons will still work. The Radar Jammer is a great piece of Equipment to use in Objective gametypes when moving into a base, as it causes a number of spastic enemy “red dots” to appear on the opposite team’s radar. The downside is it affects your own radar as well. This Equipment lasts approximately 30 seconds before self-destructing. According to Halo Nation, the Radar Jammer was removed from matchmaking due to a double-jump glitch, so it’s possible it will not be seen in The Master Chief Collection multiplayer. The Regen speeds up the Spartan’s default shield regenerating time for all within it’s green field, including any enemies that may walk into it. Although it heals as Spartans in it’s vicinity take damage, it’s still possible to kill them, and a Power Drain will still overpower it. Like it’s name suggests, the Trip Mine is a triggered mine that can be detonated by Spartan or vehicle proximity, or weapons fire. It also will sit no longer than 90 seconds without self-detonating. It is possible to get by a Trip Mine without triggering it by crouch-walking. In between the releases of Halo 3 and Halo 4 were Halo 3: ODST and Halo: REACH. These games are not included in Halo: The Master Chief Collection, but there were changes to the core of Halo gameplay that occurred in the development of these two games that affected the settings used for Halo 4. Halo:REACH introduced Loadouts, where players could choose Armor Abilities and different weapons on spawn. 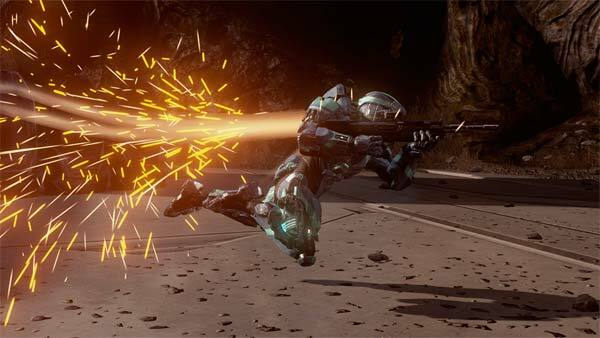 With Loadouts, Armor Abilities changed from items that had to be picked up on multiplayer maps, to rechargeable items that the player chose for his or her Spartan to carry into the field. Halo 4 continues the use of Loadouts, making them even more customizable for the player, who can switch out any available options before going into battle in War Games, or even during a game for the next respawn. The major change between Halo: Reach and Halo 4, besides having far more options when customizing their loadouts, is each Spartan also has the ability to use bursts of sprint alongside any loadout combinations. On top of that, with the right Tactical Package, this sprint does not have a cooldown (does not wear off and have to recharge). With these changes and power weapons constantly falling from the sky with Infinity and Personal Ordnance drops, multiplayer in Halo 4 results in an experience quite unlike previous Halo’s. 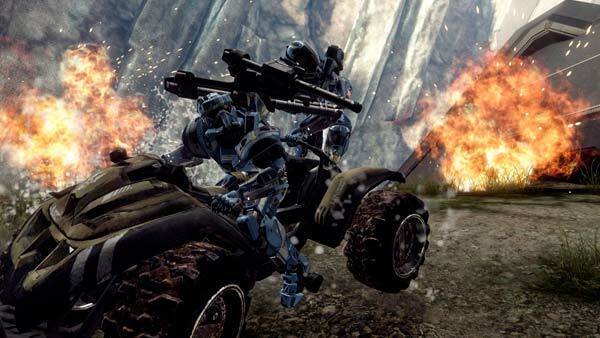 Many Halo 4 abilities can be found in multiplayer or Forged into custom games as a pick up, which are exhausted after they are used up. Otherwise, these abilities are chosen as part of your loadout and will recharge after a time when you use them. In Halo 4 to unlock Armor Abilities, Tactical Packages and Support Upgrades, players have to work through Specializations, classes you progress through via a point system. Since it has been announced everything will be unlocked in The Master Chief Collection, Specializations will most likely not be necessary to customize loadouts in Halo 4 multiplayer. Let’s take a look first at Armor Abilites. These would be attachments or external additions to your mjolnir armor. 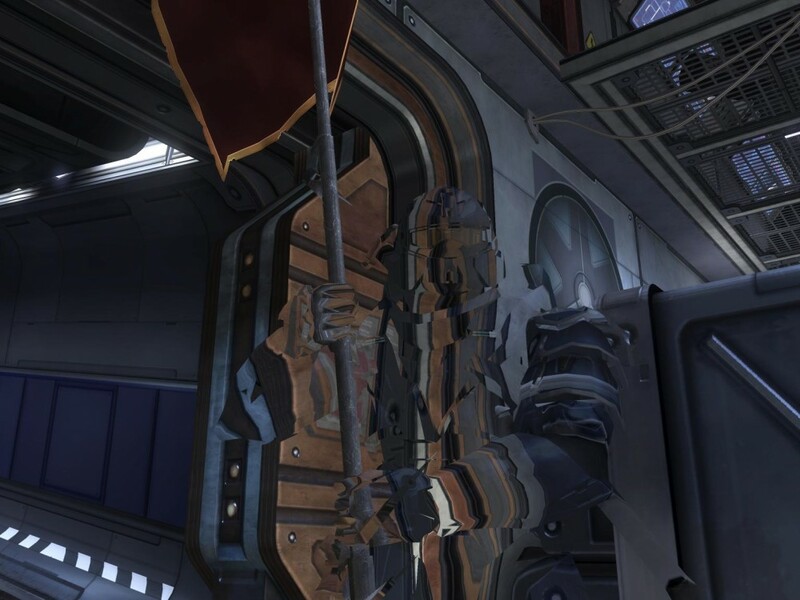 This mobile shield as seen in the Halo Diehards Screenshot of the Week image above, can be used to protect self and teammates from incoming weapons fire. You cannot use weapons while deploying the shield. The Hologram, first seen in Halo:REACH, is a fun option to punk the enemy and get in that first shot. If you look at a freshly killed Spartan when deploying your Hologram in Halo 4, it will walk over to the prone figure and t-bag it. This Armor Ability allows it’s user to see heat signatures through solid objects. Enemies show up as solid red, unless they’re using the Wetworks Specialization, which only shows a red outline. Unlike the Jetpack, the Thruster Pack only fires off in short, sharp bursts. This allows a Spartan to quickly maneuver behind cover or to flank an opponent for the assassination. Flying with the Jetpack allows Spartans to come in at angles that many gamers aren’t used to dealing with, giving them an advantage. However, when you’re hovering in mid-air, you have no cover and can easily be dispatched with team fire. The Autosentry is a floating turret that locks onto moving targets. It is often used to help provide suppressing fire, as well as a means to alert a team to enemy team movement. 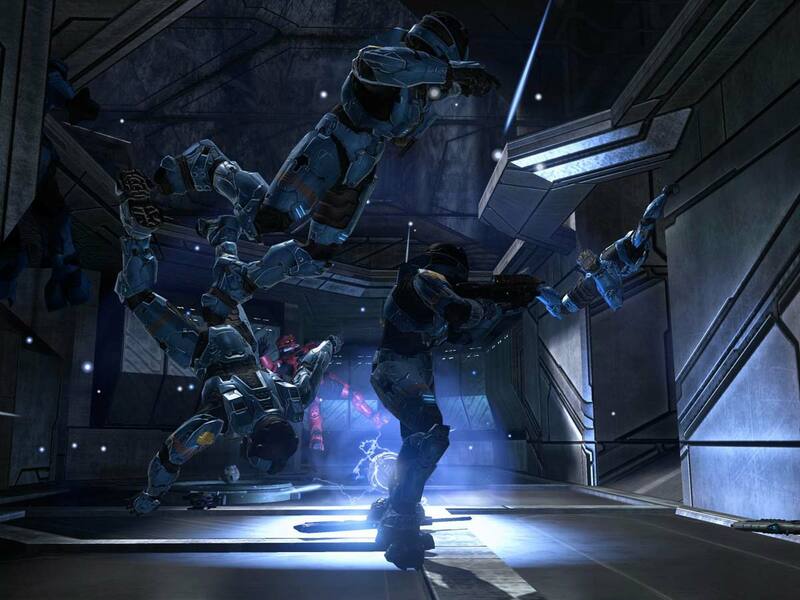 Similar to Camouflages of Halo’s past, if you are struck by weapons fire or move quickly, you start to become visible. Unlike Halo 3’s Regen Field, this one regenerates shields faster if you touch it, then leave it’s field of influence. Spartans who stand inside the green light will recharge at a much slower rate. Before we get into the specs on Tactical Packages and Support Upgrades, check out just how much of a difference each can make, in this excellent side-by-side comparison video by Arbiter617. Normally it takes two seconds to fully recharge the default Spartan shield. With the Shielding Support Upgrade, this time is cut in half. Using this upgrade, you are allowed to carry a primary weapon as your secondary weapon. Unlimited sprint comes with this perk. This upgrade gives 20% boost to XP during the time it is activated. Spartans using Grenadier can carry an extra grenade. You cannot resupply your grenade stock from fallen allies and enemies in Halo 4 unless you are equipped with this Support Upgrade. Don’t like the Personal Ordance Drop options you’ve been given? Roll the dice again if you have this upgrade enabled. If you have Wheelman enabled and your vehicle is struck by a charged plasma shot, you will be disabled for a shorter amount of time. This upgrade also strengthens your vehicle a bit. Your Armor Abilities will recharge faster when using this perk. In Halo 4 when you are struck by weapons fire it slows your sprint. This will not happen when using Resistor. Otherwise known as Armor Mods, Support Upgrades are bonus skill perks each Spartan can choose to add to their Loadouts. Primary and secondary weapons spawn in with an additional magazine of ammunition, as well as weapons called in Personal Ordnance Drops. When Awareness is Equipped the radar is visible on your HUD while zoomed in. This Armor Mod allows for faster weapon swaps and reloads. When using Drop Recon, you will see the orange, weapons drop symbol when Infinity Drops are about to occur, showing the position and time of the drop. Explosives Support Upgrade will dampen explosives damage on the user and increase damage dealt by the user. Warthog and machine turrets overheat slower, and Spartans can walk faster with a removed machine-gun turret when using Gunner. Puts an indicator over the last enemy who killed you. This Armor Mod reduces the amount of points you have to achieve during a game to earn Personal Ordance Drops. Your radar’s range and sensitivity are increased when using this Support Upgrade. Stability does just as it sounds: it keeps your aim steady while taking fire. Otherwise your reticule bounces and jigs. When using Stealth you can sneak about more silently and you are less visible to enemies using Promethean Vision. Spartans using Stealth also finish assassinations significantly faster than without this mod. Earned via Personal Ordnance Drop, this ability doubles the amount of damage inflicted upon the enemy for approximately 30 seconds. During this time, your Spartan will put off a red glow, alerting enemies to this perk, and singling you out for elimination. Damage Boost is also awarded in Regicide to the King who remains in that position for one minute without a death. You can also recieve the Overshield by Personal Ordance Drop, during which time you will put off a glow similar to previous Halo installments. The Overshield in Halo 4 has bleedthrough damage, as does the default Spartan shielding, making this arguably the weakest Overshield in the series. Rarely seen in multiplayer anymore, Speed Boost increases a players movement, including walking, sprinting, reloading and weapon switching for approximately 45 seconds. It is definitely a game-changer in capture the flag and other Objective game types. Whew, you made it to the end! What? You’re hungry for moar? Well, make sure you’ve checked out the rest of the Halo Diehards Master Chief Collection for Dummies series. And don’t forget to let us know if we’ve left anything out! You can do so in the comments below. Not registered? 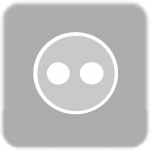 It’s as easy as logging in with one of your already existing social accounts.